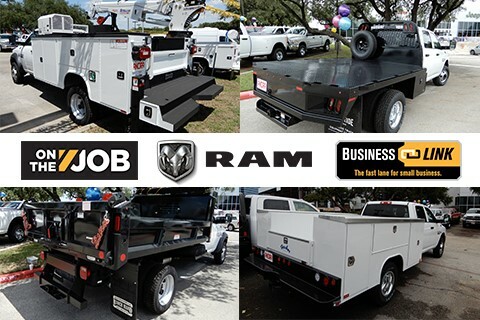 Ancira CJD stocks Ram Trucks and Promaster Vans, which have been up fit for many different job applications. Ancira CJD utilizes: Knapheide, Cobalt, IMT, Inc. including Dominator, Stellar, CM, Harbor, Ranchhand/Truckfitters, Adrian Steel, Weatherguard, and ThermoKing Refrigerated vans. Ancira CJD will fit up to your need.